This ready-made and easy-to-customize blank template is well suited for any kind of personalized business matter. Communicating in a professional way will get you and your company respect and will bring you further in life and business. Using our ready to use and easy to modify Start-Up Expenses Statement brings you an extra motivation and inspiration and gives you more time to focus on important subjects in your personalized file. We support you by providing this Start-Up Expenses Statement template, which will save you time, cost and efforts and help you to reach the next level of success in your career and business! 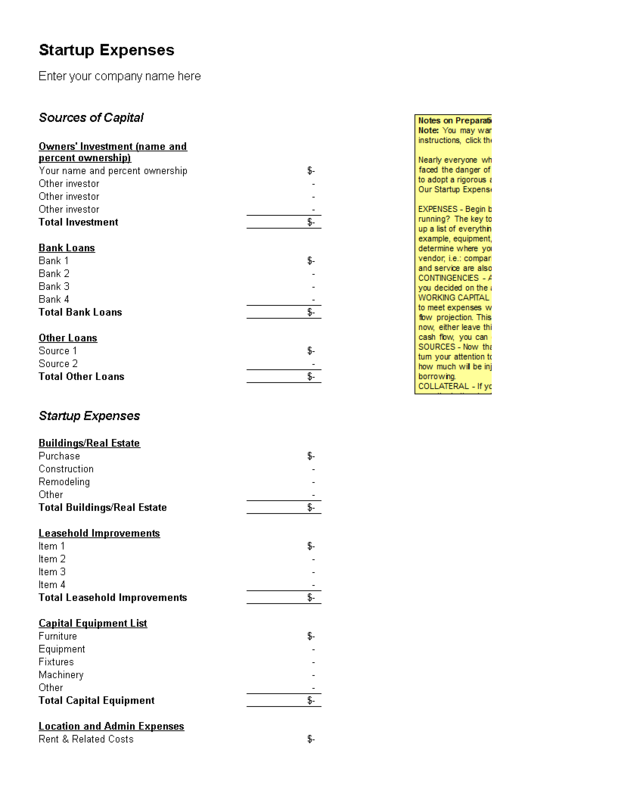 Download this Start-Up Expenses Statement template now and enhance your business!